The charms of Zanzibar and its surrounding exotic islands have multiplied with the opening of a new resort on the island, offering 30 beachfront villas. Constance Hotels & Resorts sets feet on the island of Pemba, in the Zanzibar Archipelago. The hotel group now operates its 8th hotel, with the Constance Aiyana that is located on the northern tip of the island, on the Ras Kigomasha Peninsula. Currently under a different management, The Aiyana, Pemba Island will start a new chapter under the management of Constance Hospitality Management from January 1, 2018. The hotel will integrate the Constance Hotels & Resorts’ portfolio in the same category as Constance Prince Maurice, Constance Lemuria and Constance Halaveli. The new jewel of Constance allows the brand to serve more widely in the Indian Ocean, with properties in Mauritius, Seychelles, Maldives, Madagascar and, now, Zanzibar. Born from the vision of Ashok Sungkur, renowned Mauritian landscaper who fell in love with the island of Pemba, Constance Aiyana is an invitation to escape. He took eight years to give it life, using only materials and craftsmen available locally. An approach that fits perfectly with the one adopted by Constance Hotels & Resorts, which always ensures that its establishments respect their environment. This five-star hotel was created around a beautiful garden in perpetual bloom, at the edge of a turquoise blue sea. 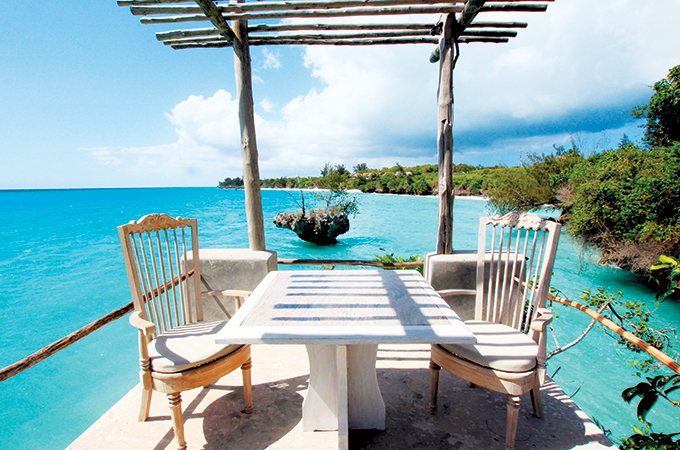 With 30 villas and an intimate atmosphere, it gives pride to the beauty of Pemba and its inhabitants. A conception of natural luxury on human scale, in line with the leitmotif of the group: 'True by Nature’. The smallest villa is 90 sqm, going up to 250 sqm. "Constance Aiyana establishes our presence in the region and clearly positions us as the reference for luxury hotels in the Indian Ocean. This new jewel also allows us to enrich our offer to reach new markets and customers looking for an extraordinary experience," highlighted Jean-Jacques Vallet, CEO of the group. The team responsible for bringing it to life with the elegance it deserves will be directed by Barbara Elkaz. Until now, she was resident manager at Constance Halaveli, having worked previously at Constance Moofushi and Constance Belle Mare Plage. With nine years spent in the group, she will be able to breathe the DNA of Constance Hotels & Resorts into the establishment.